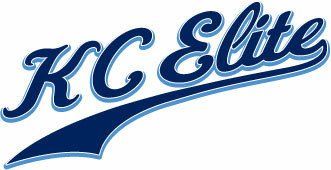 The surprise of the weekend was no doubt the play of the organization’s youngest team our 12 AAA KC Elite Rebels. 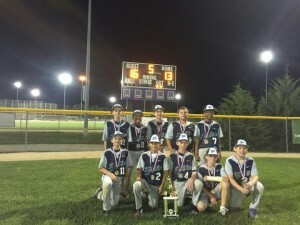 As an organization you never know what to expect when you get a new coaching staff to go along with 11 new players, but in their first tournament of the fall this past weekend the coaches and players meshed together just fine. They flat out mashed the baseball and scored a crazy 34 runs in 4 games and the coaching staff got a glimpse of what kind of team this group can be with some continued hard work. Coaches Jason Techau, Shaun Warren and Blake Brown did a great job of moving kids around, keeping the boys focused and learning as much as they could about this group in a short 4 game span this past weekend. But the one thing all 3 coaches are very excited about is the fact that this group is coachable,thirsty for more baseball knowledge and they want to be a good team. That’s a recipe for good things to come with this group. 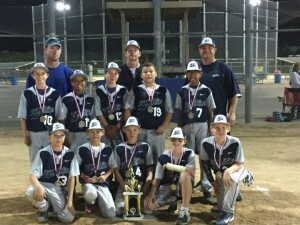 Excellent job players, parents and coaching staff.